Important notice: x-cash.org becomes x-network.io. 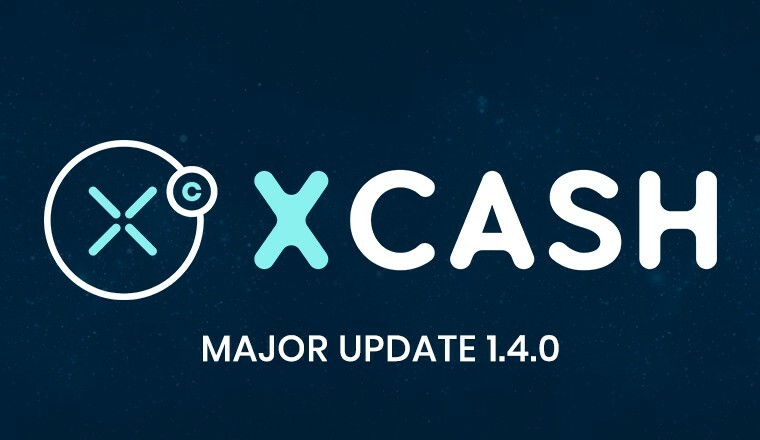 x-cash.org will automatically redirect to x-network.io and x-network.io/xcash at the end of the month of March 2019. As accounts will be absolete, they will be automatically deleted. We are offering an innovative all-in-one solution to connect merchants, customers, and banks. Thanks to disruptive blockchain technology we are able to reduce payments friction by 99% and process time close to instantaneous. In recent years, several iterations and multiple layers of technology have been able to improve payments through Blockchain technology. X-CASH aims at providing the final layer of innovation needed to take blockchain payments to mainstream adoption. We also aim at emphasizing third-party implementation into our protocols, including traditional banking industry and building an active link to financial markets which will enable a significant increase in liquidity while decreasing the volatility of the exchange rate. Most of the traditional banks charge high fees up to several percent for any transaction. Even without transacting the various costs slowly consume the account balance. With its high-efficiency network, transactions on the X-CASH Network cost less than a cent no matter the amounts involved. There are no maintenance fees which means your balance remains the same. Forever. Transferring funds from one account or a bank to another can take up to several days, which translates into global delays for corporate and retail customers whose payments are always one element of a more extensive chain. A transaction on the X-CASH network only takes 30s on average no matter the amounts or destinations of payment involved. By nature, traditional solutions are mainly centered on payment only. Moreover, it remains limited to a particular geographical area. The Blockchain nature of X-CASH offers the possibility to make a much more complex payments solution. Decentralized Ledger does not recognize frontiers which gives you access to an entire global connected network from day one. The payment industry has not significantly changed during the previous decades. Despite the technology revolution, the consumer experience remains very poor and unsatisfactory. Because Blockchain is under constant and fast evolution, new improvements make the system evolve and offer better services during the following years. The X-CASH Wallet is a light, efficient and secure way to store your coins. Wherever you are in the world, you can efficiently manage your account and send payments at almost no cost. 60% of the X-CASH coins will be created by a mining process. Anyone who owns computing power (CPU & GPU) will be rewarded by helping to secure the network. 5% is held for the current founding team and the new joiners. The release of these coins is subject to stringent conditions which are described in our FAQ and legal document. 10% is held by the company to cover the development costs and the infrastructure. 5% is made available for private investors. They will be added to the airdrop pool if not acquired 6 months after the sales' opening. 20% is dedicated to the airdrop/bounty pool. At the end of each month, anyone can register and claim their free share of the 1% monthly released amount. The X-CASH team is a growing team of experts in Technology, Blockchain and Finance. We are continually looking for new talents so do not hesitate to check out our open positions. Guilhem is a former trader who left his job to start a new cryptocurrency with the aim to fill the gap between blockchain technology and mainstream adoption. Since 2016, Guilhem has been an active trader and investor which led him to start a mining firm at the end of 2017. Guilhem holds a double Master degree in Energy Engineering from Ecole Centrale de Lyon and in International Finance from HEC Paris. Thanks to his two-year Rates Derivatives Trading experience in one of the largest bank, Guilhem has acquired a good understanding of the mechanism driving the financial industry. Before that, he was a student researcher in nuclear engineering at Commissariat à l'Energie Atomique. After graduating with a Master's Degree in nanotechnology at Institut National des Sciences Appliquées, Paul worked as a research engineer at the Centre National des Recherches Scientifiques, then as a patent attorney for the automobile industry. Looking for exciting opportunities, he then took charge of a company for the distribution of nanotechnology solutions in France and Europe. Passionate about new technologies and emerging businesses, Paul profits from his diverse work experiences to join the blockchain adventure with X-CASH. Holder of a Bachelor Degree in Computer Science, Zach is a full-stack developer who programs websites, games, and software. He also specializes in cyber-security which started his interest in blockchain technology. He has been investing in cryptocurrency since 2013 and has been deeply involved in the blockchain community since. Zach is also a writer of comprehensive cryptocurrency mining guides and the Chief Technology Officer for one of the most active mining communities. Denis Podlesnykh is an experienced full-stack software developer in the following directions: backend, web, and databases. He is a holder of Bachelor Degree in Computer Science, took part and was a winner in international’s conferences and contests. Denis has excellent research skills and develops creative solutions to complex problems. He is detail oriented and passionate about coding. Holder of a Bachelor's degree in Sports and Leisure Management, Lovro is coaching one of the top Finnish hockey first-league team. In addition to his background in Marketing and Economy, Lovro is always looking to improve and learn, spending his spare time informing himself on cryptocurrency and learning new skills (programming languages ...). Lovro drives the X-CASH community and marketing development through the creation of marketing content, bounties, and programmed bots to improve and enhance the X-CASH space. 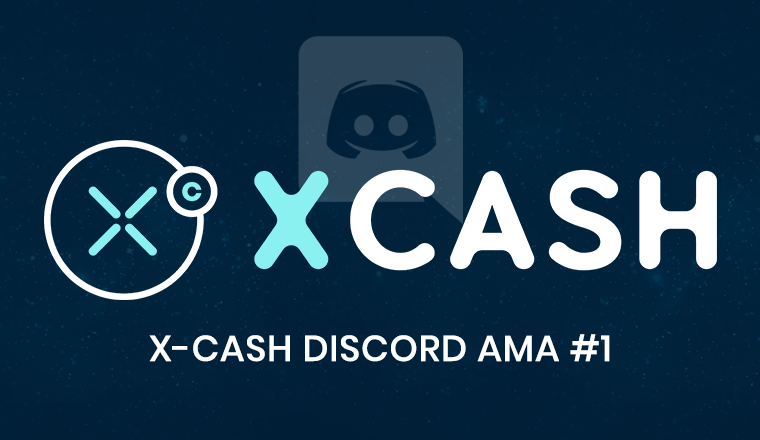 We provide you below with the most frequently asked questions and general information about X-Cash and how it came to be. You can also ask your questions directly to us on our telegram chat group. X-CASH is a cryptocurrency based on blockchain technology. The platform aims to become a global intermediary for all kind of payments and reduce transaction costs by 99%. How can I get X-CASH? There are several ways to get X-CASH, most of them being free. Account creation gets you credited 1,000 coins and enables you to also participate in any of the free monthly airdrops. X-CASH is a mineable currency, which means you can use your computing power to secure the network and validate transactions which reward you with coins. Finally, we are currently in the process of adding X-CASH to several exchanges which means you will be able to buy coins using fiat and other cryptocurrencies. Every month we are releasing 1% of the coins through an Airdrop process. Everyone can register for free and claim a fraction of the released amount. We felt this was the right way to do things, as it gives the possibility for anyone to be involved in the project, even if one does not have access to significant mining power. Through this process, we hope to reach a point where the capital will be equitably distributed among our community. You should not. As for any blockchain project, you should always do your homework and research about the project. Trust has to be built and will be over time. Through our website and our various means of communication, we hope to demonstrate that we are reliable and dedicated to building a sustainable project. To do this, we are trying to be highly transparent on every single aspect of our activity. More information can be found on the Legal Section of this FAQ, and we highly encourage you to read it. What is the total supply and distribution of X-Cash? 10% is held by the company to cover future development cost. 20% is dedicated to the airdrop/bounty pool, where 1% will be released monthly. The remaining 60% are created by a mining process for the next two years. All premine funds are secured in segregated accounts, and their strict release condition is guaranteed through legal agreements. More information is available in the legal section. What happens when all coins are mined? Once the coin emission structure is depleted, the algorithm will switch to a 0.5% yearly coin generation. This continuous emission is a strong incentive for miners to remain part of the network, keeping the redundancy high, and guaranteeing the safety of the network, while ensuring transactions costs remaining insignificant. 0.5% corresponds to the sweet spot where the supply dilution is overbalanced by overall GDP growth and inflation rates. The economic implication is that long-term holders will not be penalized as the coin's face value will keep increasing over the years. Which version of Monero is X-CASH based on ? X-CASH was hardforked and reset from the latest (v7) version of Monero. This means that X-CASH uses an ASIC resistant mining algorithm. We plan now to come up with our streamline of development and improve the technical aspects linked to the business development of the coin. Some of these aspects are speed, scalability and external APIs. How have the coins been distributed within the team and what is their releasing structure? Out of the 5% of the initial amount dedicated to the team, 2% have been distributed, and the remaining 3% will be given to new project joiners. Unlike other coins, the release of the coins is not time-related but market cap triggered. Each time the market cap of X-CASH is multiplied by 10 (starting from 10m USD), 20% of the team's coins are released. Therefore, five milestones from 10m to 100bn USD of market cap will trigger the release of the coins. There are two mechanical implications to this. The first one is that unless X-CASH becomes a major cryptocurrency, up to 80% of the coins will remain locked forever. The second one is that when the coin is listed on exchanges, only 0.5% of the coins will be released to the team (assuming we reach a 10m USD market cap), which has been designed to prevent any hard dumping of the team's coins on the market. What is the company structure and where is it operating ? 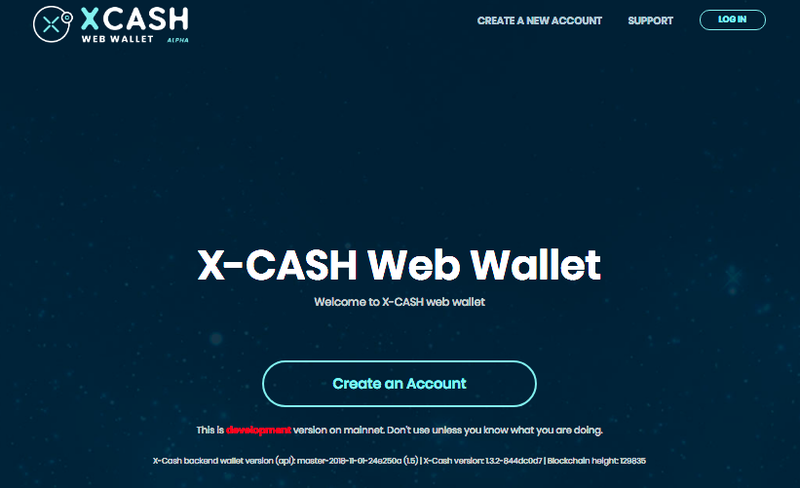 X-CASH is based and registered as a company in Paris, France. We have a steady aim at remaining compliant with all regulations from France, EU and any country we plan on operating in. The blockchain and cryptocurrency industry is a very fast paced environment, where we expect many regulatory changes. Recent public communications made on blockchain technology by the EU and France are interpreted very positively, and we firmly believe we are making the right move by settling our main activities in Europe. What will happen if the 5% of the coins dedicated to private investors are not acquired ? Any percentage of the 5% of coins that are not sold to private investors after the 6 months sales period will be added to the airdrop pool and redistributed to the public. How are you legally bound to all the commitments made on the capital structure ? Cryptocurrency regulation is still at a very early stage of development, and there is currently no clear way to formalize and legalize any capital structure distribution. Current best expectations are that it will take 6 to 12 months to have a full regulation voted by the European Parliament and the same amount of time to have it translated into local laws. In the meantime, we have taken a step forward and signed an agreement detailing the premine & the capital structure. The document can be made available to our investors on request. By committing X-CASH and ourselves to the highest standards of transparency and legality, we hope to build the necessary trust among the community. Also, following our policy, we will provide quarterly external audits on the premine funds status and quantity. • Restore your wallet using the 25 words seed provided when you created your wallet: use the "restore from mnemonic seed" option when opening the GUI wallet and follow the steps. Copyright © 2018, X-CASH. All trademarks and copyrights belong to their respective owners.